On Wednesday I received a delivery from Shingle Inn of their traditional iced Christmas Cake and Ginger Chocolate Kisses presented in a beautifully crafted 80th anniversary commemorative tin. Shingle Inn is a Brisbane institution, which first opened in 1936 in Edward Street, Brisbane city. Today there are over 52 cafes serving delicious cakes and treats which have become family traditions for many throughout the year especially during the Christmas season. Christmas goodies from Shingle Inn look delicious and taste amazing. 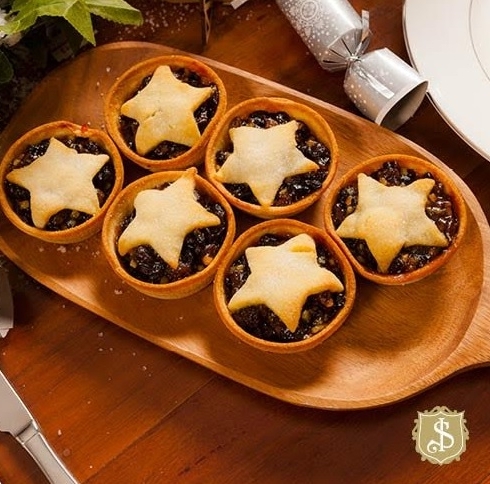 Their traditional range includes shortbread, puddings, iced Christmas cakes and Fruit Mince pies while their Christmas treats include Salted Caramel Reindeer Tarts, Rocky Road and Choc Cranberry Cookies - all containing a little taste of Christmas in every bite. Shingle Inn fruit cakes and puddings are also available as a gluten free option. Such delicious treats to give to family, friends, teachers and neighbors or to indulge in yourself.